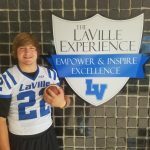 Friday, October 7, 2016 7:30 PM North Judson-San Pierre High School AWAY 0 LaVille High School HOME 48 Game Recap LAVILLE 48, NORTH JUDSON 0 Lakeville, IN. 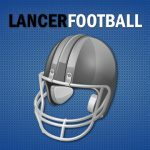 – LaVille quarterback Adam Steinke went 5-for-5 and tossed three touchdown passes, while Ethan Kertai scored three touchdowns as the Lancers shutout the Blue Jays on senior night. WALKERTON, IN. 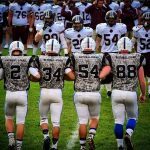 – The LaVille Jr-Sr High School athletic department has added a junior high football game. The Lancer 8th Grade football team will travel to John Glenn HS on Tuesday Sept. 20 to face Urey. Start time will be 5 pm.